“Her music is really lovely”. “ ... a most interesting and appealing album it is. 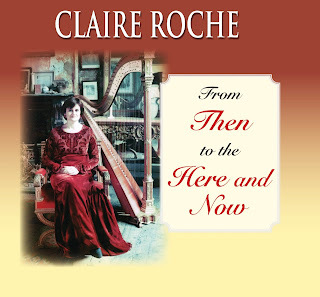 Quite unusual, but quite beautiful, ‘From Then To The Here And Now’ is like a stream of consciousness recital, a flow of music and words that somehow move the soul, a blend of literature, music, and artistic endeavour. ... rich texture of Irish heritage and the depth of emotions espoused. It resonates with the innate Celt. I felt enriched by the experience of becoming acquainted with this album.